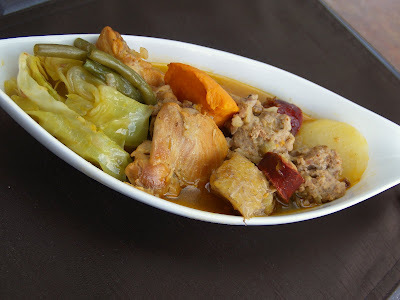 I would like to come home to a bowl of Pochero anytime. The joys of homecooked, you can't beat that. 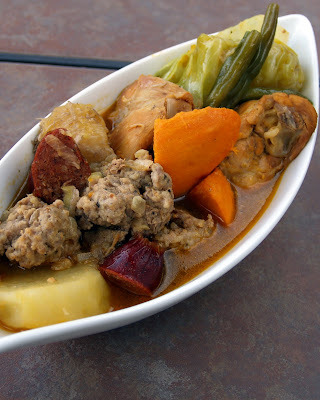 You made me miss my mom's puchero! So happy for you, your mini-me is home. My admiration for you grew even more when silly me, thinking it was you who picked up your phone was greeted by Izzy instead. She was polite, and may "po" pa.
Congratulations on your daughter's decision! UCLA is a wonderful school! She will leave no regrets in life, looking back and knowing that she chose the right school for her. What a delicious meal too, it's no wonder she wants home cooked food. Tagatugue: definitely! I won't trade it to any other fast food or resto food. Annapet: you too you are doind an excellent job with your little boy... I'm sure he will grow up to be a fine young man. Thanks mucho my friend. Jessica: during the process of her decicion making we told her that she could go to any of her choices since they are all good schools anyway, but I think the fact that she owned the decision makes it more meaningful. Thanks Jessica for dropping by again. Congratulations on your daughter's decision to attend UCLA! It's also the best feeling when your kids prefer the home cooked meal! 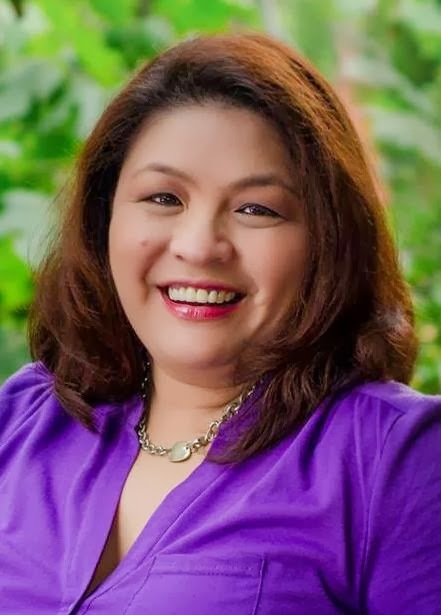 By the way Malou, thank you for voting me for Babble. I didn't pay attention to this kind of thing until I was nominated. I now see it on your blog and I'm "aware" what it is! I'm your 665 voter! This number is AMAZING! You are close to top 5 Malou! You can do it!!! You have my full support! I really regret reading this post, Malou. Now I am craving this so badly. We call this cocido (we add beans) and my favourite part is the sweet potato and bananas. You made it so nicely. I like those meatballs. No restaurant food could top this. Wow, these pics are so mouthwatering. Lovely post. I love the write-up on choices. 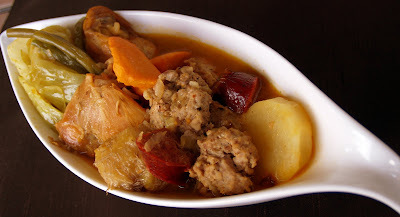 And the pochero brings back memories of Sundays growing up when we used to have it for family dinners. Thanks for sharing!